A variety of room designs can easily accommodate both large and small groups. 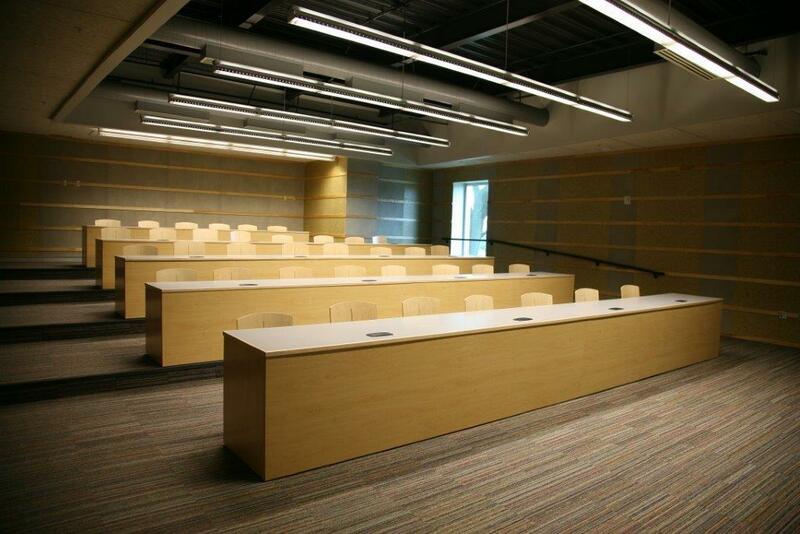 Our room layouts can be arranged to handle multiple day conferences, staff seminars, receptions and faculty meetings. 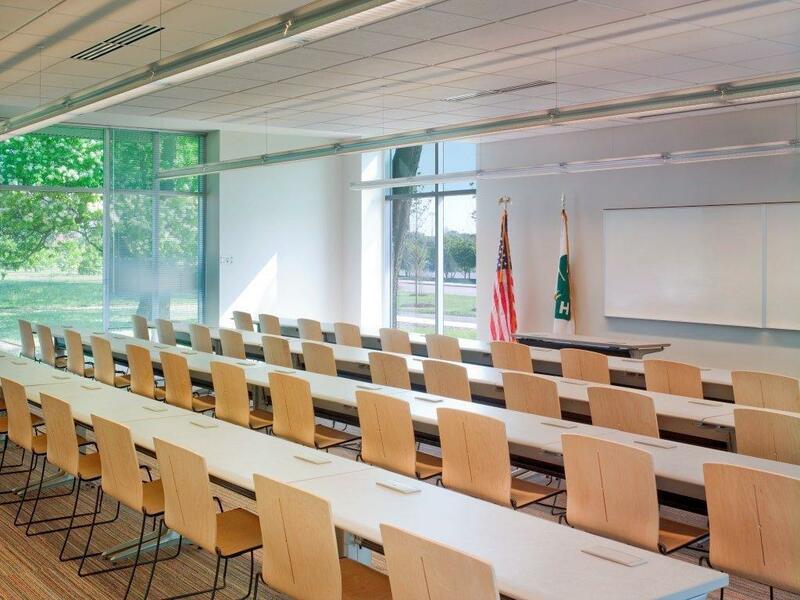 To learn how the Nationwide & Ohio Farm Bureau 4-H Center can best benefit your next meeting or social gathering, please contact Amelia Brashear at (614) 247-6904 to take a tour or to start planning your next meeting. Eastman Room (100)* Just off the Great Hall, the Eastman Room can accommodate up to 40 guests-Block O, or 40-classroom styles. Bob Evans Memorial Auditorium (145 & 155)* The largest of our available spaces bathed in natural lighting during the day, this room can accommodate up to 275 guests banquet style. The room can be divided by a curtain into two sections. This room can accommodate any set-up: 400 theater or 275-banquet. Click here for an additional picture. International Room (110)* With a great view of Chadwick Arboretum, the International Room is located on the first floor. 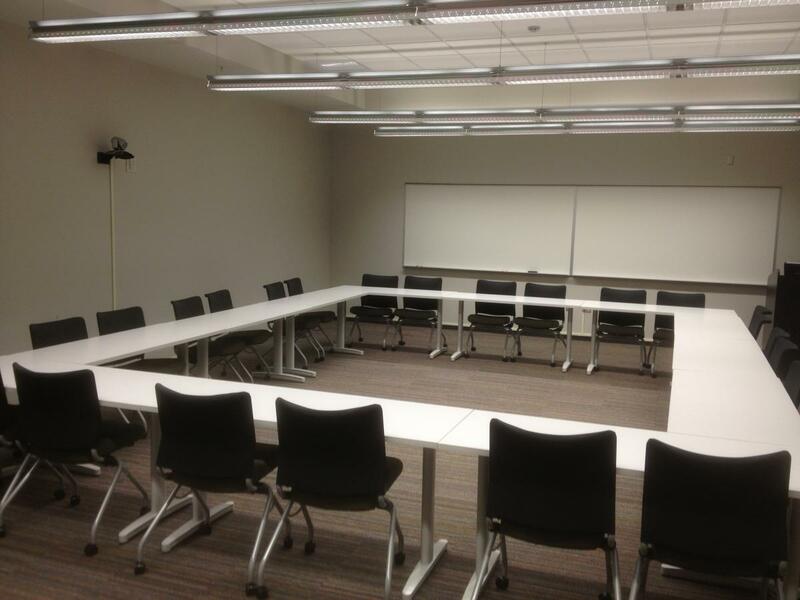 This conference room can accommodate up to 60-classroom style. Click here for an additional picture. A.B. Graham Hall The AB Graham Hall is located on the first floor. During the day, plenty of natural sunlight will enter this space through its many windows. The hall is perfect for receptions, exhibits, poster displays and informal gatherings. Click here for an additional picture. Bea Cleveland Board Room (150)* The Board Room, located on the first floor, has a wonderful view of the trees in Chadwick Arboretum. This room can accommodate up to 16 guests at the board table accompanied by executive style seating. Multi-Media Room (220)* The Multi-Media Room is located on the second floor. Its tiered classroom arrangement can accommodate up to 38 guests. Gehres Room (214)* The Gehres Room is located on the second floor. This room can accommodate 24-block O-style or up to 24-classroom style. Video conferencing is available in this room.